THEY.EA | Institut pro regionální rozvoj, o.p.s. This project was supported by an educational grant from Erasmus + – Key Activity 2 – Strategic partnership in continuing education. The project runs for a year and a half – from 1. 8. 2015 until 31. 1. 2017 and aims to raise awareness of European programs and tools that can help young people find work and integrating into the labor market. In this project, the partner organizations created an educational program, which will converted into the form of two manuals. The first guide is intend for young people seeking jobs and a second guide is intended for institutions working with young unemployed people, such as non-profit organizations, schools, employment services and public administration. available financing programs and open educational resources. During the project were created a website that provide for young people and institutions the latest information on job opportunities in the European Union and where you can also find other materials and outputs from the project. The project aims to develop tools that enable young people and youth workers will allow better orientation in employment opportunities in the EU, and thereby increase employment of young people, particularly in areas affected by high unemployment. 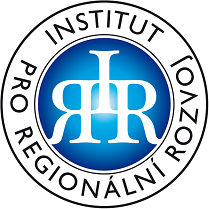 Czech Republic – Institut pro regionální rozvoj, o.p.s.